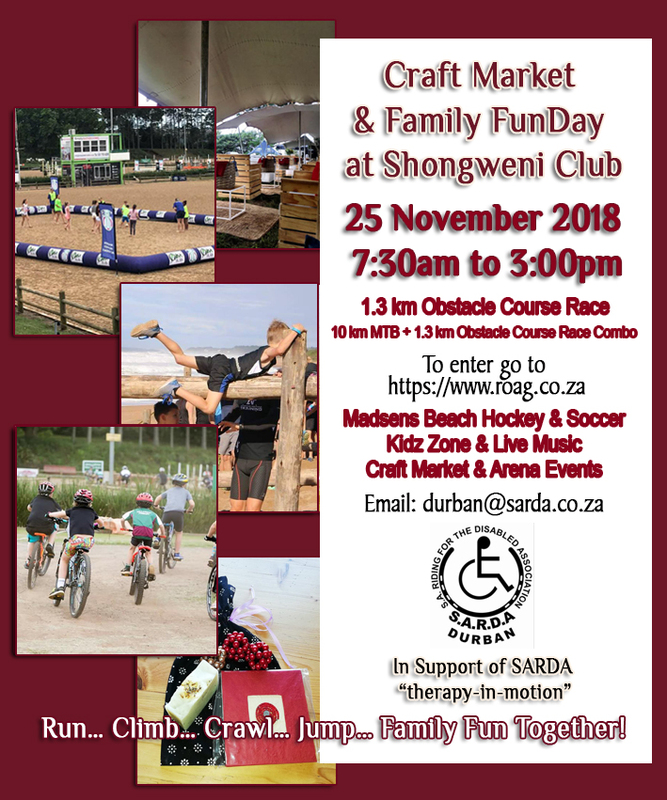 Obstacles are a way of life for children with special needs but you can help them by joining SARDA Durban at a fun-filled, exciting family event planned at Durban Shongweni Club on Sunday 25th November. To keep the children in riding therapy, SADRA Durban has to face the greatest obstacle, which is funding to feed and care for the ponies. The ponies are the backbone of the school programme that provides free therapeutic riding for children with special needs. There will be something to suit everyone at their Family FunDay. You can enter or make up a team for the obstacle course of 1.3km with options suitable for all ages or the 10km MTB + 1.3km Obstacle Course Race Combo! For school groups, work-mates or teams of friends or family, Madsen’s are providing beach soccer and hockey so enter your 6 a-side team to test your skills. There’s also a Kidz Zone and Arena Events and for the less active we have live music, great food, and a craft market to do some Christmas shopping! The more the merrier to make a fun get-together at a super venue at this time of year. Entries at www.roag.co.za SARDA Event.